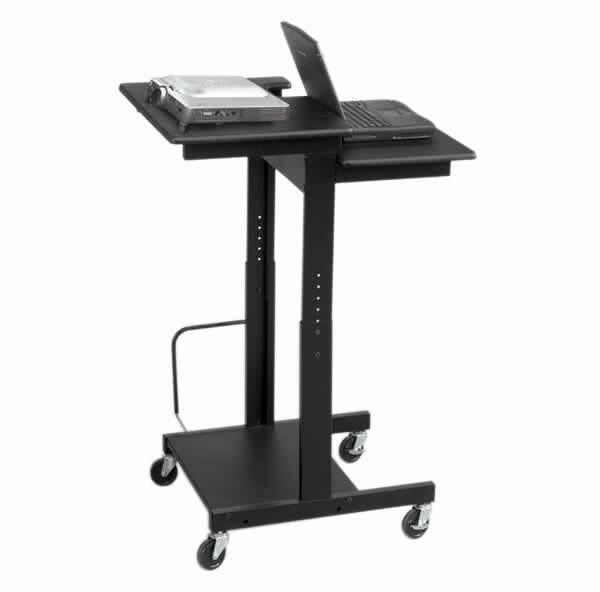 The Balt 85052 Web AV projector cart can function in two ways: as a height adjustable, mobile sit-down or stand-up desktop workstation, or as a laptop/presentation and projector cart. 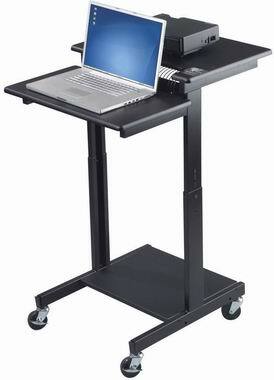 Quickly and easily add a stand up computer kiosk or sit-down teacher workstation to any room, or use the dual height work surface for a laptop/projector setup that will roll with you from room to room for presentations. 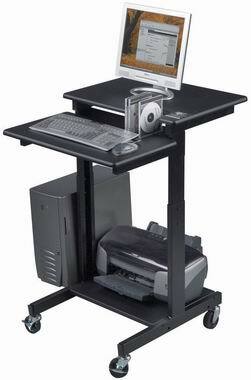 Features a useful built-in CD rack for organization, which can double as a wire management system. Powder coated black scratch resistant steel frame on 3" casters, two locking. Download Web AV PDF here.